I love making art, so I use only the most archival professional-quality art materials. 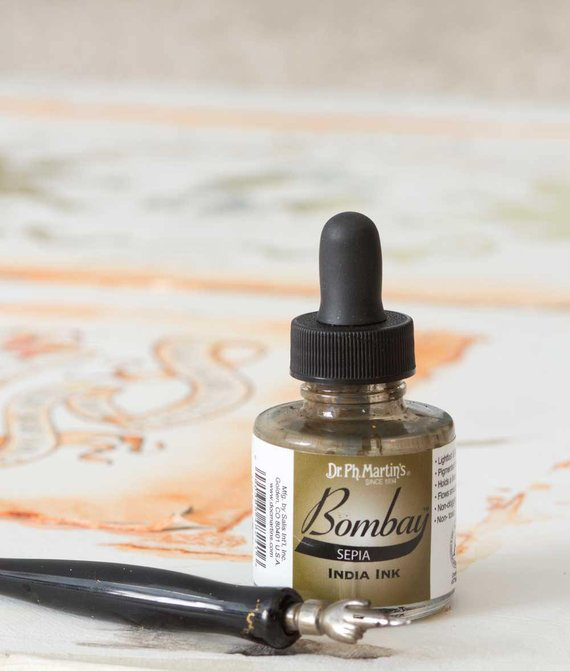 I use Winsor and Newton watercolors and sepia permanent India inks. I work on heavy Arches 100% cotton rag watercolor paper. I incorporate real metal leaf: gold, white gold, silver, or variegated copper leaf.